If Tiffany looks happy, it’s because she is! I’m happy that Tiffany got a board at Curbside Skate Shop in New Jersey. Plus I agree with her that skateboarding is all about the balance. If you don’t have balance when you start skating, you will if you keep skating! We all have haters. We can choose to listen to the haters & give up or just know our true self & skate on. 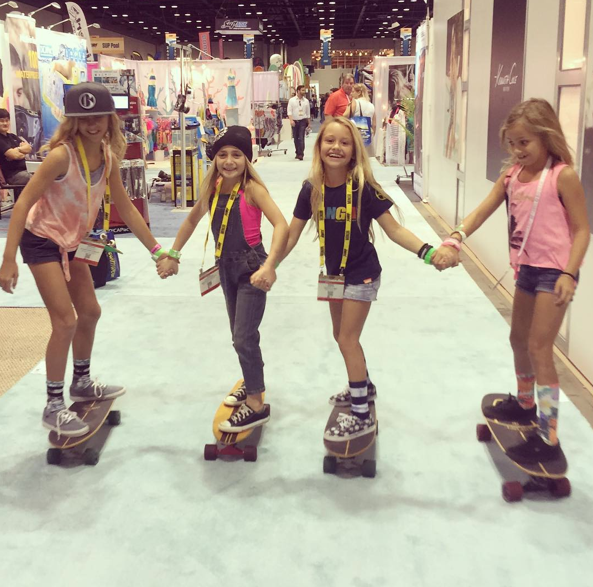 More girls skate when they see girls skating and hear all the reasons skating can be fun – so hope you share your stories soon! Forth Union in Asbury Park, New Jersey shared this photo with me. I had to find out more so I contacted PCollins36. 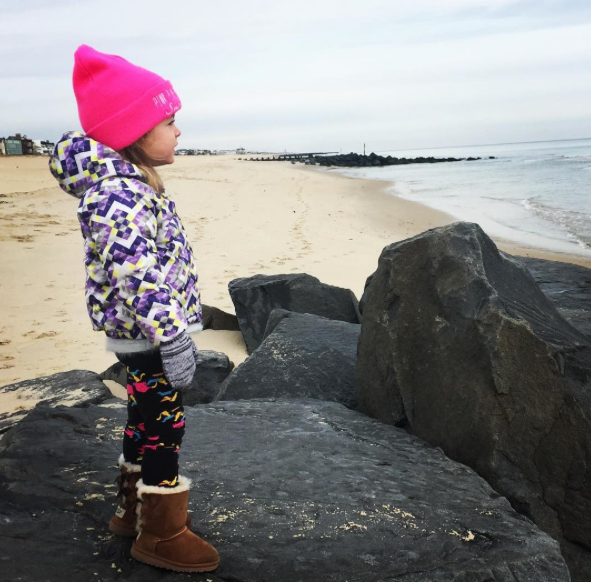 He shared this photo of his daughter Vivian who’s 2 years old in the picture – now she’s 3. Having the right shoes is key to having fun skateboarding & overall happiness in life. 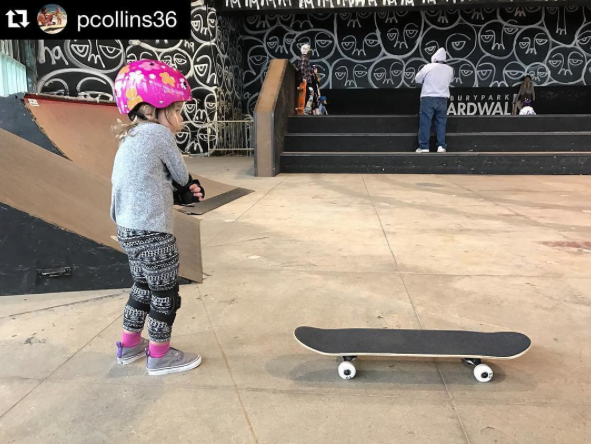 I also loved that you wanted to skate the bowl because it’s for big girls and you’re a big girl now – turning 3 and just recently becoming a big sis. 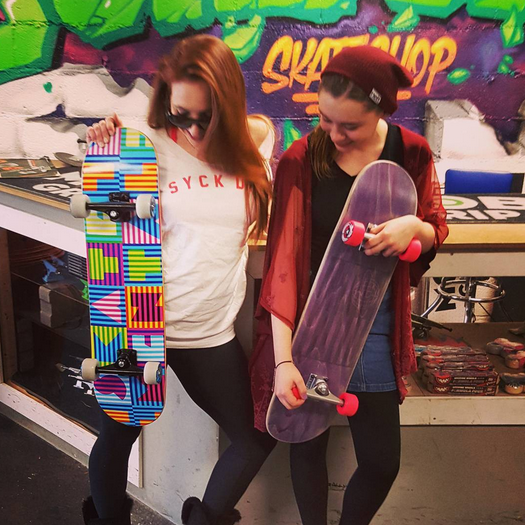 Thanks Vivian for sharing – more girls skateboard when they see girls skateboarding. I look forward to seeing many more of your skate photos and I love your boots too! You don’t hear or see the name Carlin everyday. So when I saw this post from Down Beach Skate congratulating Carlin Makibbin for winning this deck at the Ocean City Skateboard Jam, I had to read a little more. Turns out Carlin likes to surf, skate & ride in Ocean City, Maryland and that Down Beach Skate likes to support the girls. Above Sophiew_Grom getting congratulated for second at the Winter Skateboard Jam In Ocean City. More girls skateboard when they see girls having fun skateboarding and getting encouragement. 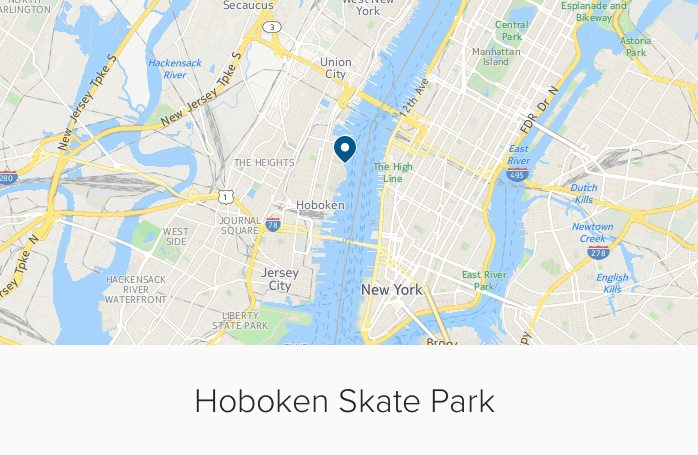 So I think I need to put Ocean City Skatepark on my list of places to visit and I hope Down Beach Skate keeps sharing. 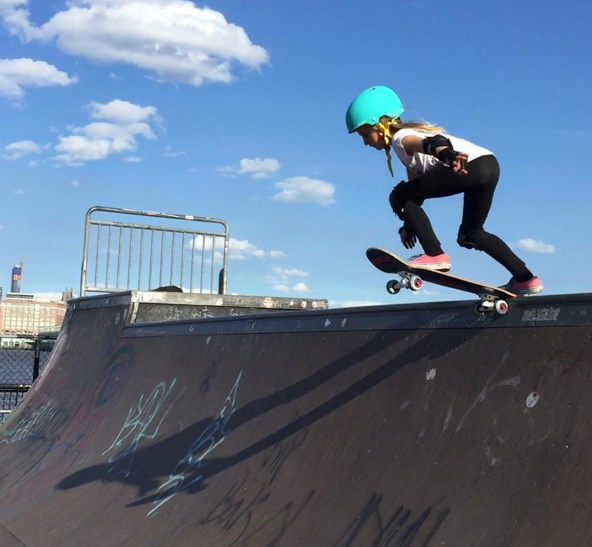 We especially like the rapidly growing group of extremely rad girl groms, moms and mentors. Life is full of connections – if you look for them – my mom’s name is Carlin so I read a post about a Carlin & found a skate shop that likes moms! When you’re the only girl – it shouldn’t matter we’re all people. It’s still nice to get a shout out in the paper – congrats Ashley Rose! 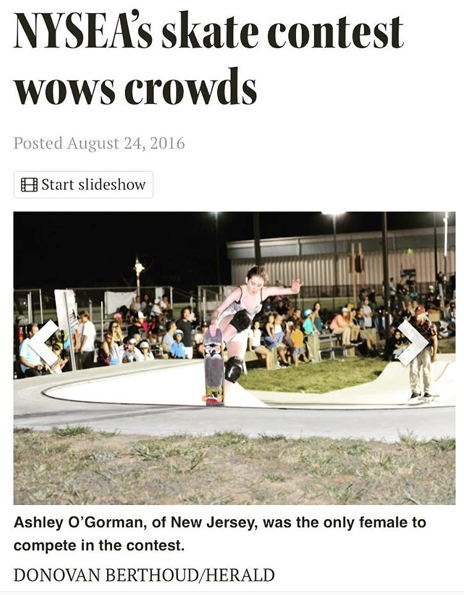 Thanks Ashley for inspiring me & others – more girls skate when they see girls skate & get encouragement. By the way if Ashley looks familiar it’s because of the 9/5/2015 post. Love her style & that she keeps on skating! Zoe Herishen is a skateboarder who keeps it fun and shares the fun. She may be small – 2nd in hot pink & young 9 – but she’s making giant plans. 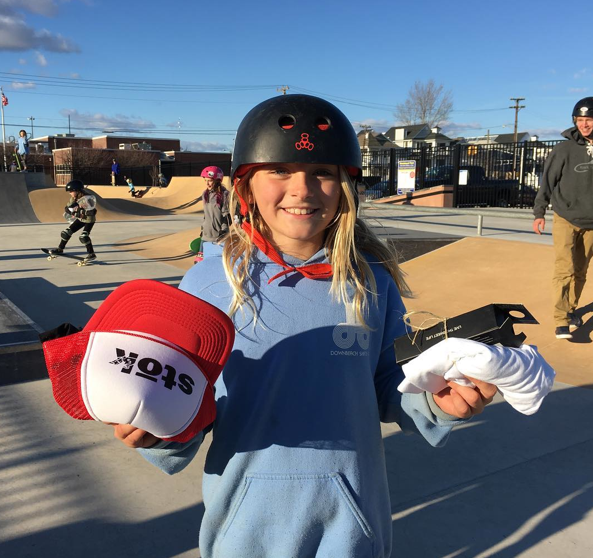 Zoe works with GRO Girls Riders Organization – the first nonprofit organization open to all females in skateboarding, snowboarding and other action sports. 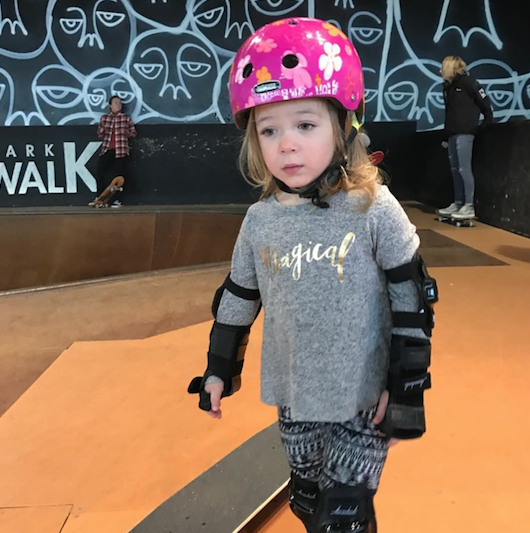 Lessons learned through GRO help girls not only in action sports, but also in all areas of life empowering them to be leaders of positive change. GRO operates throughout the United States and Zoe works with the New York City Chapter. 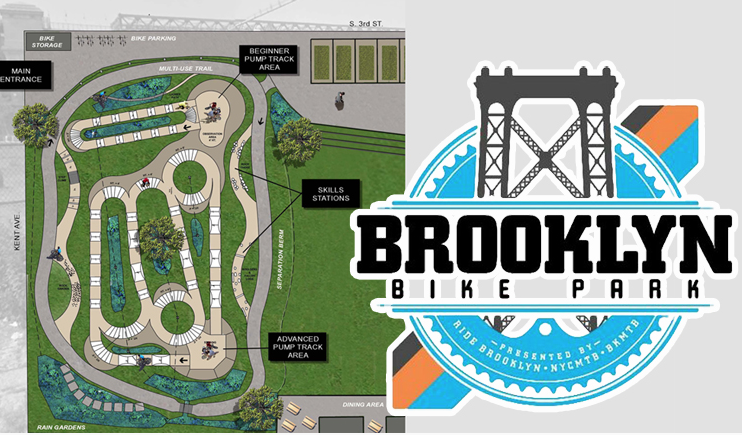 Zoe had the idea to have a GRO event at one of her favorite parks – the Brooklyn Bike Park – which is skateboard and longboard friendly. One of the things I love about doing this blog is seeing all the amazing skateparks around the world. 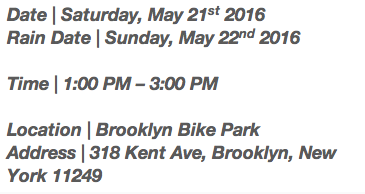 Brooklyn Bike Park doesn’t disappoint and if I had a travel budget I’d so be there on Saturday May 21st. And of course I love seeing girls turn their dreams into reality. I’m thrilled that Zoe thought to invite me and share the invite on this blog. 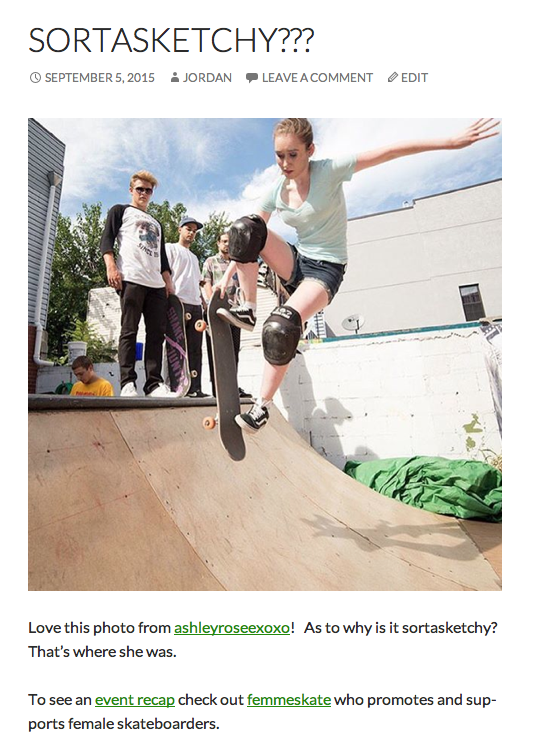 I love getting invited to all girls skateboarding events – and an invitation from a 9 year old organizer with a vision and an idea to help bring girls from both skateboarding and long boarding together, and to teach some new girls to ride too – Zoe might be the best invite yet! 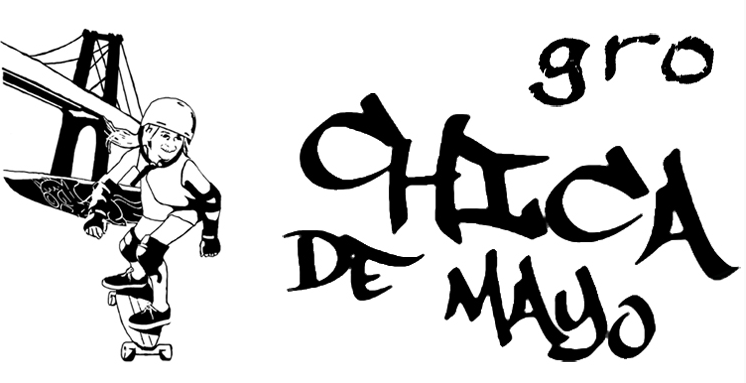 I hope this is the first of many annual Chica De Mayo skateboard events. And I hope lots of girls go, have run, and then share there pictures and stories right here – skatingfashionista.com. 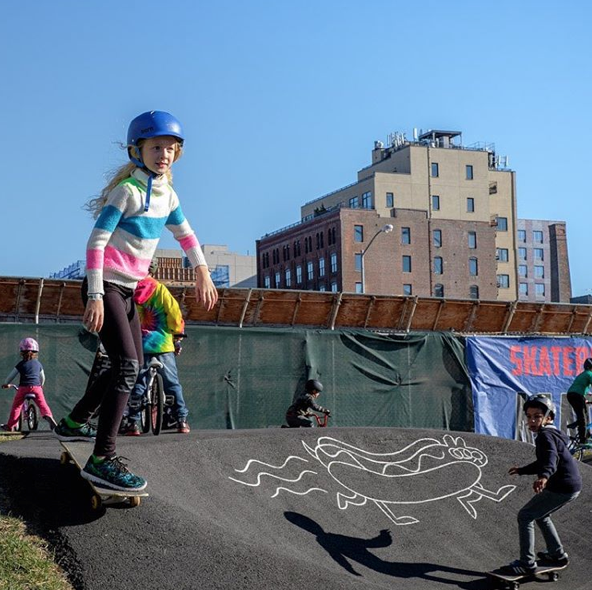 Photo: Brooklyn Bike Park Instagram And yes the skatingfashionista believes all types of bikes and all types of skateboards can coexist and grow together – because fun is universal and it’s always stylish to COEXIST! 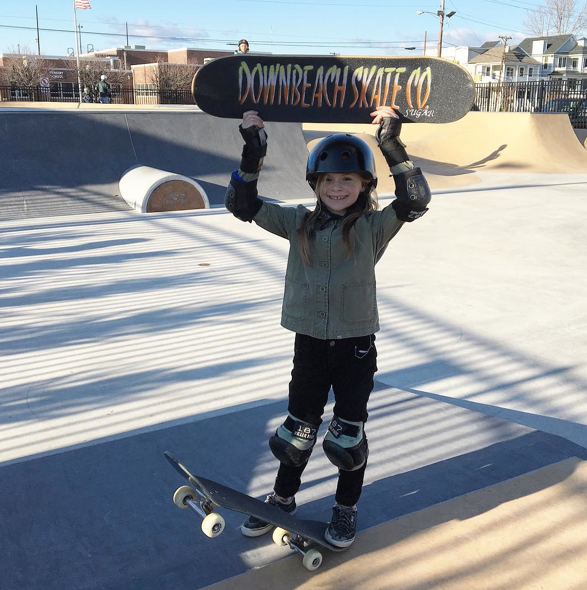 It’s this weekend – be sure to send pictures for sharing and here’s one of Zoe skating in New Jersey – so glad she’ll be in the collage of #girlscanskate USA because she inspires/encourages girls to skate for fun!